(Nanowerk News) The exceptional properties of tiny molecular cylinders known as carbon nanotubes have tantalized researchers for years because of the possibility they could serve as a successors to silicon in laying the logic for smaller, faster and cheaper electronic devices. First of all they are tiny -- on the atomic scale and perhaps near the physical limit of how small you can shrink a single electronic switch. Like silicon, they can be semiconducting in nature, a fact that is essential for circuit boards, and they can undergo fast and highly controllable electrical switching. But a big barrier to building useful electronics with carbon nanotubes has always been the fact that when they're arrayed into films, a certain portion of them will act more like metals than semiconductors -- an unforgiving flaw that fouls the film, shorts the circuit and throws a wrench into the gears of any potential electronic device. In fact, according to University of Illinois-Urbana Champaign professor John Rogers, the purity needs to exceed 99.999 percent -- meaning even one bad tube in 100,000 is enough to kill an electronic device. "If you have lower purity than that," he said, "that class of materials will not work for semiconducting circuits." Now Rogers and a team of researchers have shown how to strip out the metallic carbon nanotubes from arrays using a relatively simple, scalable procedure that does not require expensive equipment. Their work is described this week in the Journal of Applied Physics ("Direct current injection and thermocapillary flow for purification of aligned arrays of single-walled carbon nanotubes"). Though it has been a persistent problem for the last 10-15 years, the challenge of making uniform, aligned arrays of carbon nanotubes packed with good densities on thin films has largely been solved by several different groups of scientists in recent years, Rogers said. That just left the second problem, which was to find a way to purify the material to make sure that none of the tubes were metallic in character -- a thorny problem that had remained unsolved. There were some methods of purification that were easy to do but fell far short of the level of purification necessary to make useful electronic components. Very recent approaches offer the right level of purification but rely on expensive equipment, putting the process out of reach of most researchers. As the team reports this week, they were able to deposit a thin coating of organic material directly on top of a sheet of arrayed nanotubes in contact with a sheet of metal. They then applied current across the sheet, which allowed the current to flow through the nanotubes that were metal conductors -- but not the bulk of the tubes, which were semiconducting. The current heated up the metal nanotubes a tiny amount -- just enough to create a "thermal capillary flow" that opened up a trench in the organic topcoat above them. Unprotected, the metallic tubes could then be etched away using a standard benchtop instrument, and then the organic topcoat could be washed away. 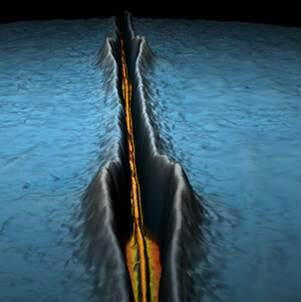 This left an electronic wafer coated with semiconducting nanotubes free of metallic contaminants, Rogers said. They tested it by building arrays of transistors, he said. "You end up with a device that can switch on and off as expected, based on purely semiconducting character," Rogers said.